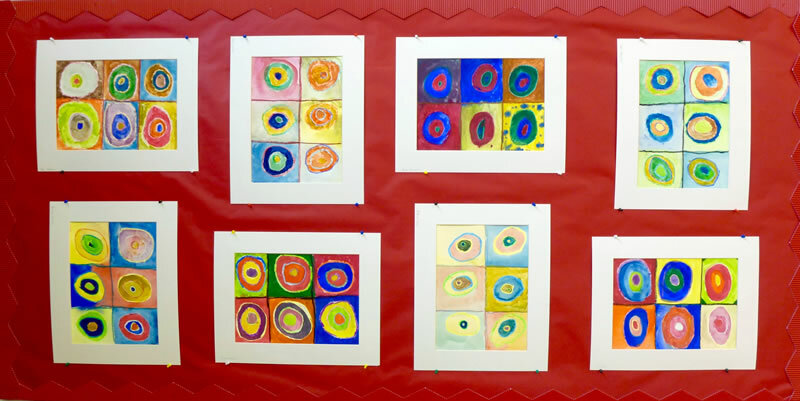 Inspired by Kandinsky's experiments in colour, the children explored the effects created by placing different colours next to each other. 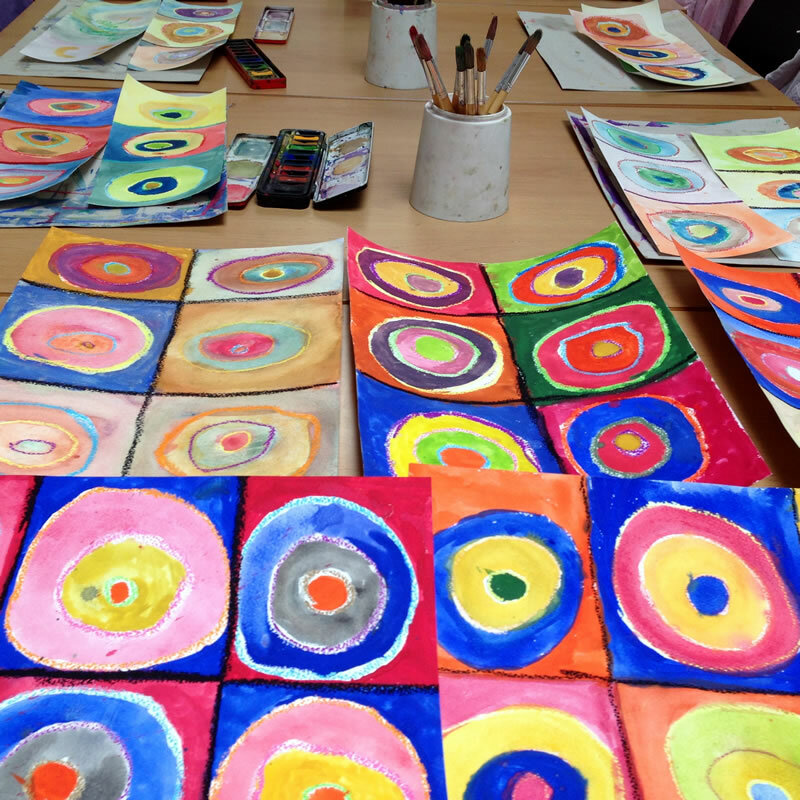 In a 3 x 2 grid, they drew freehand concentric circles and experimented with colour mixing and resist techniques using watercolours and oil pastels. These workshops took place during the academic years 2015-2016 and 2017-2018 which were both designated Crabtree's Year of Art. At the end of each year, the work was mounted and exhibited as part of the celebratory Open Day in July.